If you have a question that may be of use on this page use Contact Us. Q: What are the office hours at Bahia Delfin? Q: What holidays are celebrated in Mexico? Q: Am I allowed to plant my own plants around my condo? A: This is only allowed with the authorization of the property manager. Otherwise, any plants not authorized by the management may be moved to an area that is deemed appropriate. Please check with Waldo before planting. Q: Are bonfires permitted on the beach of Bahia Delfin? A: Our recommendation is to enjoy your bonfires away from our beach in order to avoid the contamination of our sand and to avoid bothering other homeowners with smoke. We also require the removal of all remains left by the bonfire. Q: Do we have a Long Term Parking Area at Bahia Delfin? A: Due to the limited number of parking spaces, we do not have long-term parking or vehicle storage. Therefore, any vehicle left in the parking lot when an owner is not in residence is subject to towing to the outside parking area at the risk of and cost to the owner. You may only register one vehicle per condo at Bahia Delfin. If it is a time of low occupancy, homeowners may be allowed to park an additional vehicle with the permission of the manager. There are secure, commercial storage areas available for rent in San Carlos. Q: Do we have any option for individual home insurance? A: Yes, home insurance for civil liability and contents is available. You can request this policy in our administrative office at Bahia Delfin. Q: Do we have any Property Insurance in Bahia Delfin? A: Yes, we do have Property Insurance (GENERAL DE SEGUROS S.A.B./Insurance Company) with the following coverage: ($4,500,000.00 US for fire, earthquake, and meteorological risk), ($500,000.00 US for civil liability), ($100,000.00 US for window glass). Q: During my absence, who checks my condo for problems? A: We encourage our maintenance department to check all unoccupied condos on a weekly basis. The number of units checked depends on the availability of staff. We have detected water leaks and other problems. After every heavy rain, all upper condos are checked in order to detect water leaks. Q: How can I report a leak or other problem in my condo or make a request for any work? A: You need to report the problem to the office. You can fill out a repair request on the website, or at the front desk. Staff will evaluate the request and provide a price quote in accordance with the price chart established by administration. Work not listed in the price chart will be charged at the price of $10.00 US per hour. All prices are for labor only. The price of the materials used will be an additional charge. Q: How will I pay my annual trust fee? A: The annual fee for all the bank trusts acquired through our office and administered by Banca Interacciones will be billed during the last quarter of the year. The annual fee will be charged to the homeowner's October bill. Owners who have agreements with another bank will be subject to the conditions of the chosen bank. Q: I am an owner at Bahia Delfin, but I have relatives or friends staying at Condominiums Pilar, or friends coming from Guaymas, can I invite them to use our pool facilities and other areas of Delfin? 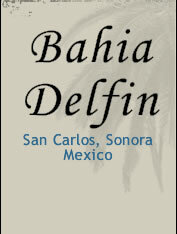 A: The property and pool are for the exclusive use of the owners, guests, or renters of Bahia Delfin. Other people may be warned and asked to leave by security, and the owner may be fined. Q: If I pay for a bottle of water at the front desk, do I have the right to keep the bottle in my condo indefinitely? A: No, because you are paying for the contents of the bottle and not the container. You are responsible for returning the bottle to the front desk when checking out. Otherwise, the bottle will be picked up from your condo in order to continue offering this service to the other owners. You may also buy a container and keep it. Q: Is there a place in Bahia Delfin to wash "toys" (4x4, ATVs, Off-Road vehicles, etc.) after having fun in the mud? A: Bahia Delfin has a designated cement pad for the purpose of washing cars, boats, and ATVs. It is located in the southeast corner of the parking area and is for the use of owners and renters of Bahia Delfin. Q: Is Wi-Fi available in Delfin? A: You can purchase a Telmex phone and local number with DSL. The meeting room next to the front desk is equipped and available with wireless internet service. If you need to use the internet room, ask for the key at the front desk. This service is available for owners only. Q: What happens if I pick up remains of dry cactus, cow skulls, seashells, coconut shells, rocks, etc. and put this collection around my condo? A: Outside of your condo is common area, and our staff is instructed to keep this area clean and free of clutter and personal items. All of the above described items may be removed with no responsibility to the administration. If ceramic or other manufactured decorative items are found, they will be placed inside the corresponding condo. Q: What happens if my pet is not on a leash? A: Due to existing regulations at Bahia Delfin and a number of signs posted throughout the property, we believe all residents are aware that all pets must be kept on a leash. Therefore, a $50.00 US fine will be automatically charged to the offending condo owner's account. Q: What is the condo spraying policy? A: In order to control insects, every condo will be fumigated once a year during the months of September and October or as often as necessary. It may also be done if requested by the owner. Due to the importance to the entire community, this service is not optional for the homeowner. It will be provided and coordinated automatically. Q: What is the procedure for paying my annual property taxes and how much are they? A: In order to get a city discount for prompt payment, we will pay the total bill for taxes in January or as soon as the city communicates the amount. This will be approximately $500.00 US on the lower units and $600.00 US on upper units. The corresponding charge will be included in the homeowner's next billing statement. Q: What is the reason for not allowing our kids to play soccer, install tents, or play golf in the green areas? A: The main reason is to protect the automatic watering system (sprinkler heads and pipes in particular), the safety of the homeowners and to avoid damage to the windows of the condos. Q: Where should I park my trailer, boat, motor home, or mobile home during my visit? A: There is an outside parking area with metal rings anchored to the wall to secure your trailers. Please follow the time limitations posted on the wall. Additionally, there are secure, commercial storage areas available for rent in San Carlos. Q: Who is responsible for service to the air conditioners? A: It is the individual responsibility of every owner. However, the administration of Bahia Delfin is available to assist with the coordination of the maintenance service, and the cost will be charged to the Homeowner. The service includes the cleaning of all components and adding refrigerant if needed. This service is optional and will only be provided at the owner's request. Q: Why is it necessary for me, a homeowner, to notify the front desk prior to my arrival? A: It is important for our office to be notified of your arrival in order to have your condo properly checked, cleaned and the utilities turned on. It is also important to check in and check out in order to notify our security staff and have accurate records of occupancy. Q: What is the current staff of Bahia Delfin?